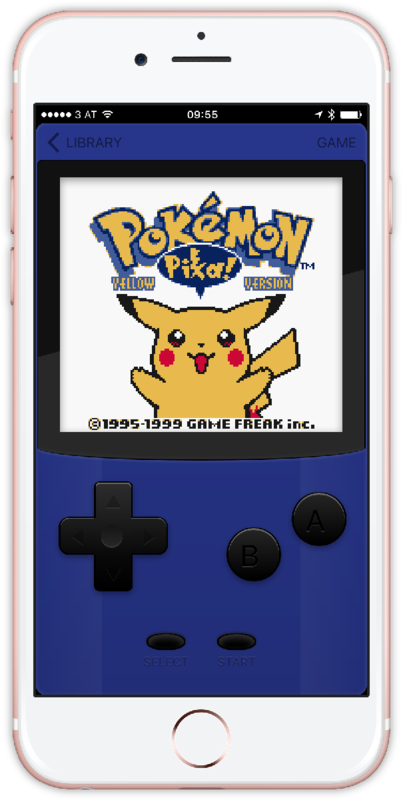 Game Boy Color1 games on your iPhone and iPad. Store all your Game Boy and Game Boy Color ROMs2 and cover art in Google Drive. Simply drag-and-drop your games into Google Drive. Game Play Color automatically identifies cover art stored alongside your ROMs and displays it in a beautiful game library. Enjoy your games in full, rich, 8-bit audio. Game Play remembers your ROM save state allowing you to continue playing where you left off. Play your games wherever and whenever you want, even without signal. Licensed under the GPL and available on GitHub, Game Play is open source through-and-through. Game Boy and Game Boy Color are trademarks of Nintendo Co., Ltd.. All rights reserved. Downloading copied ROMs is illegal: only use images you have created from ROMs you own yourself. InSeven Limited is an independent software company and is in no way affiliated with Nintendo Co., Ltd.. Copyright © InSeven Limited 2012-2016. All rights reserved. InSeven Limited, Registered in England and Wales, Number 7082463.